Obituary – Tappe, Frederick Ernest « Perry High School Alumni Association, Inc.
﻿F.F.A. 53-56, F.F.A. President 55-56, Sophomore F.F.A. Secretary 53-54, Boys’ State 55, Class Assembly 53-54, Basketball 53-54, Wrestling 54-55. Frederick Ernest Tappe, 76, of Perry passed from this life March 1, 2015 with his family by his side. Services have been entrusted to the care of Palmer Marler Funeral Home of Perry and a service celebrating Fred’s life will be held at 10am on Wednesday, March 4, 2015 at Christ Lutheran Church. Interment will follow at Grace Hill Cemetery. Public visitation will be held on Tuesday, March 3, 2015 from 9am to 8pm with the family greeting friends at the funeral home from 6pm to 8pm on Tuesday evening. Fred was born on September 26, 1938 in Perry, OK to Ernest Tappe and Caroline (Gorath) Tappe. He was raised in Perry and attended rural school Fourdee and Christ Lutheran School before graduating from Perry High School in 1956. 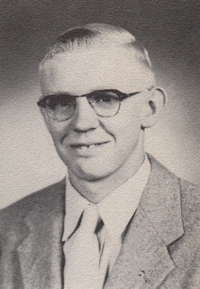 During his high school years, Fred worked at Kemnitz D-X and was very active in the local FFA chapter. As a child he also enjoyed riding his bike around the country collecting, iron and pop bottles and picking up trash along the roadside, a hobby he enjoyed his entire life. Over the past decade, Fred could often be found cruising the highway and country roads in his gator making certain that his land was spotless and better off than the way he found it. Following his graduation, he enrolled at OSU Okmulgee where he earned a degree in Auto Mechanics. Fred enlisted in the US. Army and was stationed at Fort Ord, CA. After his honorable discharge from the Army, he returned to Perry and in 1961 he married Trudy Deken and purchased a farm east of Perry. He and Trudy had three children: Leasa, Russell, and Sarah and spent 23 wonderful years together before her passing in 1984. Fred accepted a position as a welder at Ditch Witch and retired in 1998 as the welding shop manager. Fred spent over five decades working his land where he raised cattle, alfalfa, and wheat. In 1986, Fred married Yvonne Kennedy and he gained two more children: Berva Pool and Malinda Cyphers. He was a wonderful step father and made sure that his children and step children were treated as equals. Fred and Yvonne spent nearly three decades at each other’s side and enjoyed traveling the country and gambling together. Fred was a lifetime member of Christ Lutheran Church and served many years in various church offices. 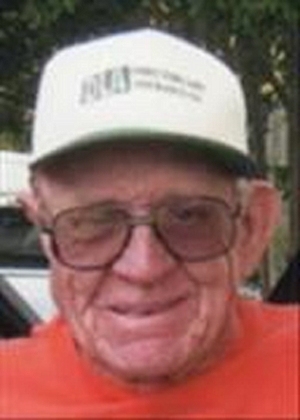 He was also a member of the Noble County Cattleman’s Association for many years. He was a quiet, hardworking man who was generous and had a heart of gold. He enjoyed farming, welding, and traveling. Family was always the most important priority in his life. Fred loved being around his family and he attended as many of his children’s and grandchildren’s activities as possible. Fred Tappe was a loving husband, a protective father, a proud grandfather, a caring brother, a dedicated employee, and a loyal friend who will truly be missed by all who knew him. Fred was preceded in death by his parents, his first wife Trudy Deken Tappe, and a great grandchild Tyler Cyphers. Fred is survived by his wife and soul mate Yvonne Tappe of Perry. Five children: Leasa Rowe and husband George of Guthrie, Russell Tappe of Oklahoma City, Sarah Savoie and husband Chris of Perry, Berva Pool and husband Lenny of Perry, and Malinda Cyphers and husband Kenny of Mulhall. A sister Margaret Seeliger and husband Glen of Perry. Nine Grandchildren: Katy Grimes, Jessica Savoie, Brad Savoie, Justin Cyphers, Rodney Cyphers, Dustin Wood, Connie Hight, Mandy Rowe, and Simon Rowe. He is also survived by 12 great grandchildren and numerous other family members.